The American Health Council recognized Lisa Kirkland, MD as “America’s Best Doctor” for her outstanding contributions to the medical field. Currently, Dr. Kirkland maintains a very active schedule as she serves as a hospitalist at the Mayo Clinic and an internist at Allina Health in Minnesota. She works in the intensive care unit and conducts critical care medicine work. Since entering the healthcare field 33 years ago, Dr. Kirkland has garnered comprehensive skills and knowledge in critical care medicine to provide optimal care to her patients. With a passion to study medicine, Dr. Kirkland enrolled at the Virginia Commonwealth University School of Medicine and earned a medical degree in 1985 and remained at the educational institution to complete an internship in internal medicine that same year. By 1989, she completed a fellowship in critical care medicine at St. Johns Mercy Medical Center, an affiliate of Saint Louis University. She later returned to Virginia Commonwealth University School of Medicine and completed a master’s degree in health administration in 1998. Throughout her career, Dr. Kirkland has diversified her skills by earning various certifications to ensure that she delivers high-quality and precise care. She is board certified by the American Board of Internal Medicine in critical care medicine, geriatric medicine and internal medicine. Additionally, she is certified by the United Council of Neurologic Specialties in neurocritical care. 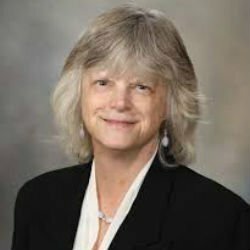 Dr. Kirkland enjoys the high-intensity involved with acute care and feels honored to have received several Presidential Citation awards and recognitions throughout her career from the Society of Critical Care Medicine. 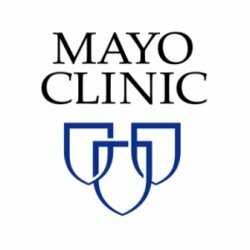 In 2004, the Mayo Clinic honored her with the Mayo Excellence through Teamwork award and named her an Outstanding Educator in 2002. In 2000, the University of Tennessee Medical Center honored her as the Inaugural Recipient of the R.A. Obenour Jr. Excellence in Teaching Award and that same year, she earned the Superstar Editor honor at eMedicine. Dr. Kirkland is a fellow of both the Society of Critical Care Medicine and the American College of Physicians and an active member of the Society of Hospital Medicine. She currently serves as chair of the Critical Care Committee, member of the Patient Safety and Quality Committee, member of the Credentials Committee and member of the Patient Care Committee at Abbott Northwestern Hospital. Additionally, she is a member of the University of Tennessee Medical Center’s Code Team Subcommittee and the Central Group on Education Affairs of the AAMC. In her free time, she enjoys traveling and participating in medical missions to Guatemala. She contributes time and funds to various charitable organizations as well as The Dakotas — Church. With a successful career at hand, Dr. Kirkland attributes her achievements to her teachers and mentors, as well as her clinical experience and great leadership skills. She plans to continue to excel her career by maintaining her excellence, keeping up with innovative practices and become a part of a leadership group.